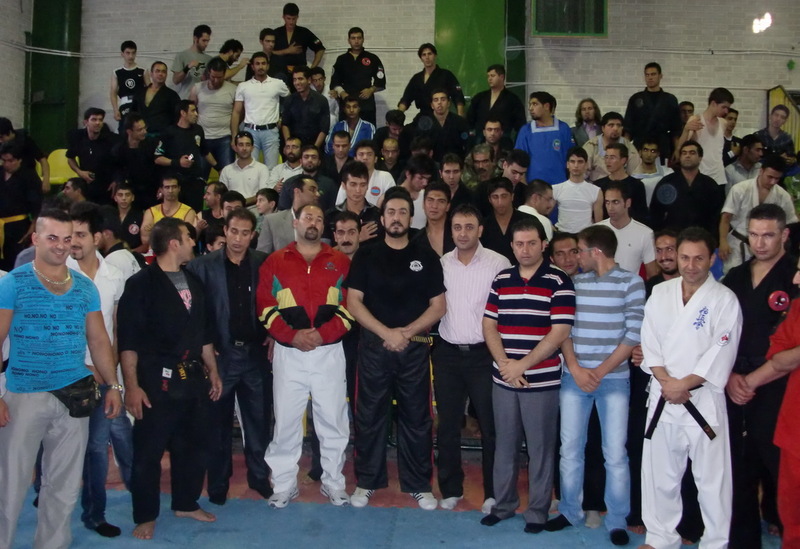 Returned yesterday the Grand Master Dr. Walid Kassas from Tehran, after being given two Trainers Seminars in sports of KOWAT ALRAMI & in self-defense in Tehran and other cities, and gave several lectures on the history of martial arts and KOWAT ALRAMI sports from September 29 until October 3, 2010. 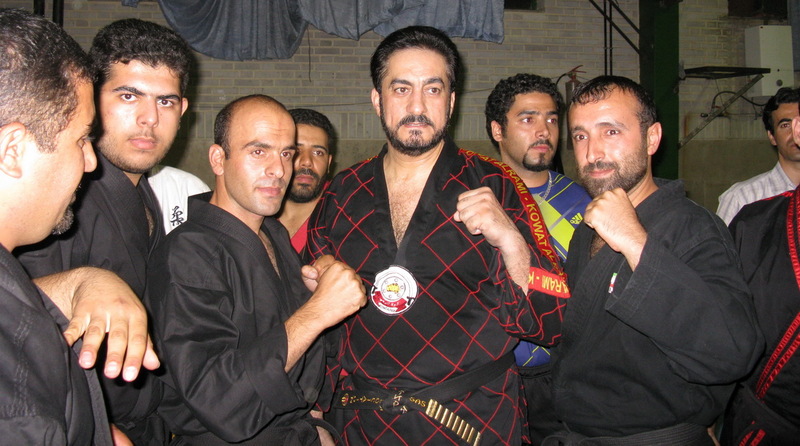 This is based on the invitation to him officially by the Martial Arts Federation of Iran, and the Iranian KOWAT ALRAMI Committee, with the participation of more than two hundred and thirty Coach and a Champion of the several provinces of Iran engaged in many of the martial arts, including kuyokishnkay - Karate - Pankeration - Kick Boxing - Thai Boxing - Habkidu - Taekwondo - MMA - the KOWAT ALRAMI and other Martial Arts Styles. 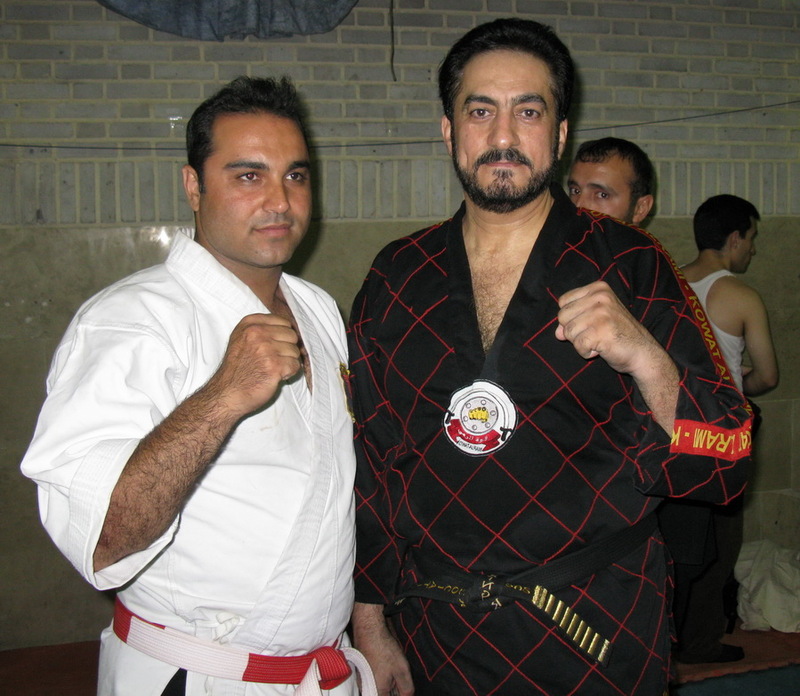 Which gave several lectures on the history of combat sports and the full definition of Rules and Regulations of the KOWAT ALRAMI, and then began training after the operation in the manner of KOWAT ALRAMI, in the way of self-defense within the approved by KOWAT ALRAMI sports. Also invited Dr. Walid Kassas as the President of the World Federation of KOWAT ALRAMI Sports and international expert approved to be a guest emeritus at the General Conference of the sports federations of the martial arts and self defense in the academy Olympic headquarters of the Iranian Olympic Committee, and was attended by Gen. Amir Ahmadinejad, the brother of Iranian President, the Vice-Minister Youth and Sports and the Chairman and the Secretary General of the Martial Arts Messrs. Mohammed Nouhi & Mohsen Ahmadi, in addition to the heads of all unions martial arts, during which he, Dr. Kassas of speech on the occasion received the admiration of everyone, and then gave him some union leaders Gifts and trophies and in turn presented to Gen. Amir AhmadiNejad and the Vice Minister and the President of Iran Federation, the Iranian version of the book, sports medicine, and then presented a certificate of Honorary Fist Degree of the International Federation of Sports chucking force to Gen. Amir, and General Shahnaz, and then later invited to the dinner held in his honor after the General Conference. 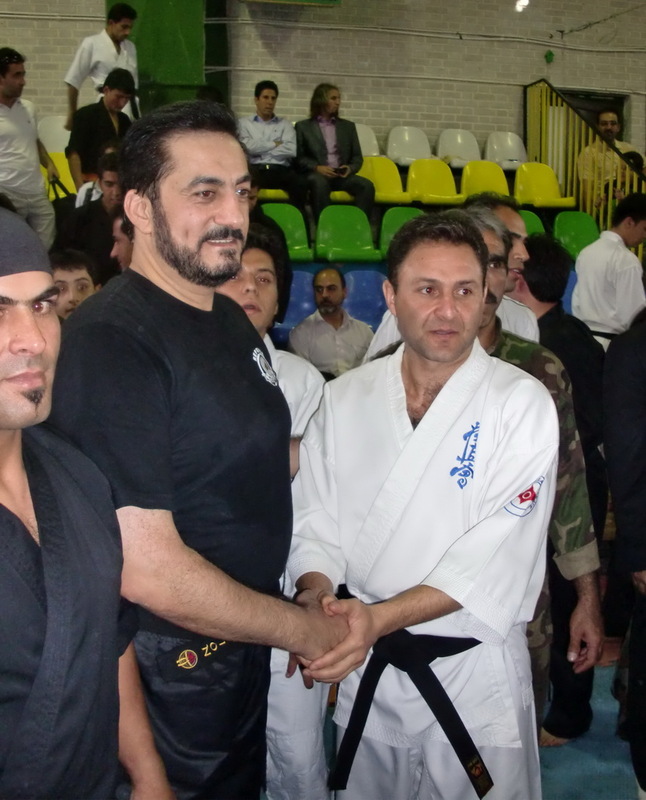 It is worth mentioning that the Federation of Iran and the Iranian Olympic Committee, has formally adopted the Iranian KOWAT ALRAMI Committee, and expressed full readiness to support the sport, which won the admiration and the admiration of many practitioners of martial arts, and especially after the success of the International Championship of KOWAT ALRAMI which was held in Kish Island. وذلك بناء على الدعوة الموجهة له رسمياً من قبل الاتحاد الايراني للمارشال آرتس، واللجنة الايرانية لرياضات قوة الرمي، بمشاركة ما يزيد عن مائتان وثلاثون مدرباً وبطلاً من عدة محافظات ايرانية يمارسون العديد من الرياضات القتالية، منها الكيوكشنكاي- الكاراتيه- البانكراشن- الكيك بوكسينغ- التاي بوكسينغ- الهابكيدو- التايكواندو- إم إم آي- قوة الرمي وغيرها من الرياضات القتالية الاخرى. ألقى خلالها عدة محاضرات عن تاريخ الرياضات القتالية والتعريف التام بقوانين وأنظمة رياضات قوة الرمي، ومن ثم بدأت بعدها التدريبات العملية في إسلوب قوة الرمي، وفي إسلوب الدفاع عن النفس المعتمد ضمن رياضات قوة الرمي. كما دعي الدكتور وليد قصاص بصفته رئيساً للاتحاد الدولي لرياضات قوة الرمي والخبير الدولي المعتمد ليكون ضيفاً فخرياً على المؤتمر العام للاتحادات الرياضية لفنون القتال والدفاع عن النفس في الاكاديمية الاولمبية في مقر اللجنة الاولمبية الايرانية، وبحضور كل من الجنرال أمير أحمدي نجاد شقيق الرئيس الايراني، ونائب وزير الشباب والرياضة ورئيس وأمين عام الاتحاد الايراني للمارشال آرتس السيدين محمد نوحي ومحسن أحمدي، بالاضافة الى رؤساء جميع اتحادات الفنون القتالية، وألقى خلالها الدكتور قصاص كلمة بالمناسبة لاقت إعجاب الجميع، ثم قدم له بعض رؤساء الاتحادات هدايا ودروع تذكارية وبدوره قدم للجنرال أمير نجاد ونائب الوزير ورئيس الاتحاد الايراني نسخة من كتابه الطب الرياضي، ثم قدم شهادة فخرية بدرجة القبضة من الاتحاد الدولي لرياضات قوة الرمي الى الجنرال أمير، والجنرال شهناز، ثم دعي بعدها الى حفل العشاء الذي أقيم على شرفه بعد المؤتمر العام. والجدير ذكره أن الاتحاد الايراني واللجنة الاولمبية الايرانية، قد إعتمدت رسمياً اللجنة الايرانية لرياضات قوة الرمي، وأبدوا كامل استعدادهم لدعم هذه الرياضة التي نالت إعجابهم وإعجاب الكثير من ممارسي الفنون القتالية، وخاصة بعد النجاح الذي لاقته في البطولة الدولية في قوة الرمي التي أقيمت في جزيرة كيش.